We’ve been very happy to be associated with the lovely people at Pigeons and their project, early harvest over the past year. It’s a literary magazine published by children for children and takes submissions from children in grades three to six. Check out Pigeons website for more details. 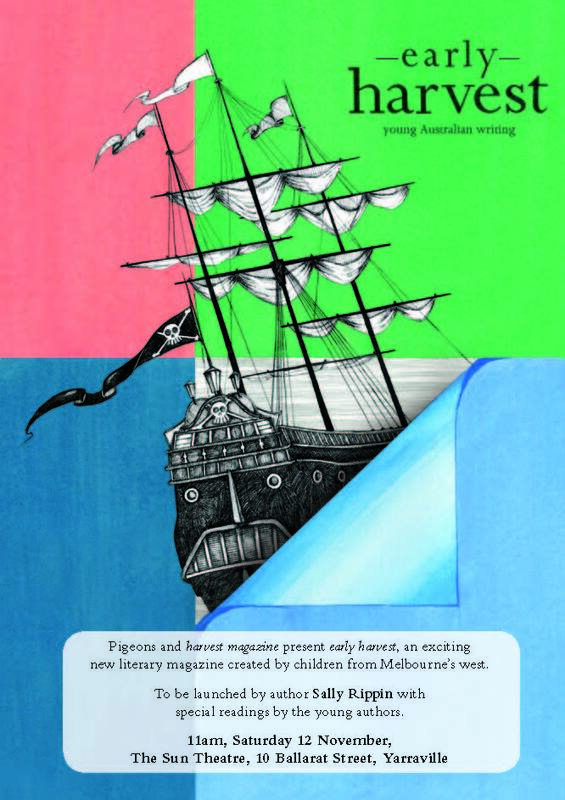 And now, excitingly, Pigeons and harvest magazine present early harvest — a wonderful new literary magazine created by children from Melbourne’s west. The Sun Theatre in Yarraville on Saturday 12 November from 11am. Author Sally Rippin will be launching this wonderful new magazine with special readings by the young authors. It’s going to a shipload of fun!